Electric vehicles have long been a staple of science fiction, and have been hyped as being the next big thing for years. You may be surprised to learn that the first patent for an electric motorcycle was issued in the 1890s, but it’s only recently that technology, and individuals, have begun catching up with the dream. The good news is the government’s electric vehicle subsidy has since come into effect, with grants of 20% of a bike’s value, up to a maximum of £1,500, available for new buyers. Exact sales figures are difficult to find, but at a time when sales of motorcycles are down almost entirely across the board, we shouldn’t be too surprised that electric ones are still a niche product. We do have statistics for France, which saw 194 electric motorcycles bought in 2016, and in 2017 KTM admitted that they only sold 3,000. However, Statistica predicts that around 55 million electric motorcycles and scooters will be sold globally by 2024. There are plenty of advantages to electric motorcycles. Aside from the environmental benefits, electric motors are incredibly efficient. All acceleration is handled directly by the motor, meaning there’s no need for a gearbox or clutch. And while the lack of engine noise might be a turn-off to purists, motocross tracks are receiving record number of complaints. So electric powered vehicles may well be the future for bike sports that have to exist alongside the public. Fundamentally this means that, like scooters, electric motorcycles are currently best suited for certain situations. They make ideal urban commuters – the stop-start nature of city travelling works to their advantage as battery power lasts longer. Power consumption when motionless is much less than an internal combustion engine idling, and if the bikes are fitted with regenerative braking, small amounts of power can be recharged. There is a lot of uncertainty and confusion about the rules and restrictions related to electric motorbikes, mopeds and bicycles – especially at the low-powered end. Ultimately, you will need a licence to ride anything that doesn’t have pedals and goes faster than 15mph. For more on this read our Electric Scooters And The Law article. So, what is actually available? 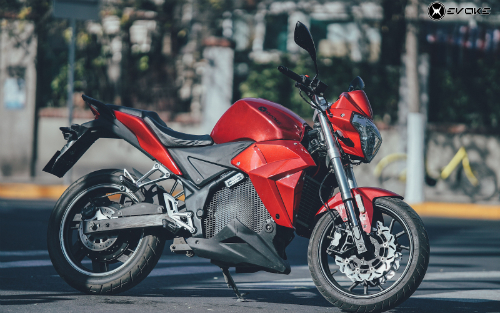 Join Bikesure, the freewheeling insurance broker, as we review electric motorcycles and explore the future of transport, that you can go and buy today. But be warned – some still aren’t available in the UK, so be prepared to import if you fall in love with something. For any trailblazers with deep pockets, there are some very nice, and interesting, bikes out there. Zero, who are arguably the joint market leaders and probably the best bet for non-millionaires, continue to improve and expand their range of bikes. In fact, they’ve expanded from just one model in 2006 to eight models built on two platforms. Coming in both road and off-road designs, they have one of the largest electric ranges of any manufacturer. Highlights include the Zero S, launched in mid-2017, a streetfighter-styled city bike with a maximum range of 200 miles per charge. This has a smaller battery and half the range of their standard DS, which not only helps make it more manoeuvrable but also allows it to be driven by people without their full licence. Of course, a £10k beginners bike appeals to, shall we say, a limited market – but if you’ve got it, flaunt it. Especially if you don’t need to travel very far. What you might not know about Zero, is that they offer models designed with the needs of law enforcement and military in mind. Whatsmore, they’ve recently improved their offerings, now boasting shorter charging times and more powerful batteries at a lower price. This gives an extra 10% more range which is great, although if you rushed out and got one last year you might be slightly annoyed. Energica have also gone from strength to strength, with the Ego becoming the first electric production bike to compete on the Isle of Man TT Zero race. Their MotoE race bike also aired at five MotoGP rounds in 2018 and in 2019 it looks set to be raced by MotoGP racers. The two original models from the first Italian manufacturer of electric motorbikes, are the Eva, a streetfighter-styled bike and the sportsbike Ego which is capable of 150mph. Obviously, this speed will have an effect on range, and it can only do 90 miles at 50mph on a single charge – going down to 60 miles at 60mph. The latest addition to their stable of high-quality machines is the Eva EsseEsse 9, named after the Italian road originally built by the Romans that goes through what is now known as the Motor Valley. Taking its cues from a retro style of bike, helps it stand out from other electric bikes. Retailing for £17,708 there’s no surprise that Energica only planned to make 400 bikes in 2018. The hope is that, in time, prices will go down with new advancements in technology. Their latest project, called Smart Ride, is in collaboration with Samsung. By linking Samsung technology with the bike, they hope to achieve an innovative new riding experience, as well as guaranteeing greater levels of road-safety. This company claim to be the UK’s number one selling electric – Super Soco. The Super Soco TS costs around £3k (£2.3k with the government discount), but lacks a lot of the polish that its more expensive cousins have – the bodywork is mostly plastic and its maximum speed is a stately 30mph. But, if you’re considering an electric moped or scooter to get you around town then this is another option. They also launched a slightly more stylish model, the Super Soco TC at the end of 2018, with a third model – the Super Soco CUX set to launch in the not-too-distant future. There has been a sudden influx of new manufacturers, largely driven by China, which is investing heavily in electric vehicles while discouraging combustion engines. However, the focus is largely on cars, as China doesn’t have the same motorcycle culture as other countries. Evoke are one of these manufacturers. They’re aiming at the same kind of market as Zero and Energica, but are somewhat easier on the wallet. Their Urban S, with its cool modern design and range of 120 miles, is available in the region of £7k, meaning you can get an EV on a non-millionaire’s budget. Diving headfirst into the world of vapourtech, Lightning’s first product is the LS-218. The Lightning SuperBike is thought to be the world’s fastest bike, partnering with Race Tech for track-ready suspension and a top speed of 218mph. The bikes are now in production, but starting at £30,700, they’re not cheap! With the revival of interest in classic designs in recent years, it’s nice to report that electric bikes are beginning to respond to this trend instead of just recapitulating modern sportsbikes. The Denzel Café Racer is now in production, re-named as the ECR V1, with a 7.5-kilowatt electric motor, and a top speed of 58mph. This model will set you back between £4,100-£4,500, but from reviews it doesn’t look like it will disappoint. The company began shipping this stylish bike in November, but as importing from China is fraught with difficulties it might be an idea to talk to the UK dealer and ask whether they have any plans involving this new bike. 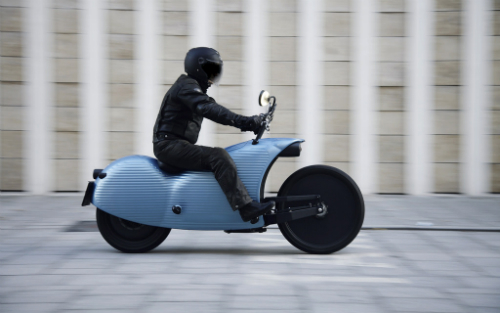 On the other hand, Johammer have taken an interesting approach to the design of their electric motorcycle. The Johammer J1 essentially goes back to first principles and redesigns the frame around the demands of an electrical system (rather than attempting to force it into a standard motorcycle frame). The result is something like a futuristic update of the Streamline style popular in the 1930s – or a robot prawn. Details like having dash displays built into the rear-view mirror help to keep it looking sleek and eye-catching, although its top speed is 75mph. With prices starting at £20,000 and – most likely – a trip to Austria to collect it on top, it’s another toy for the wealthy, albeit the slightly less wealthy. At the very least, it’s unique. 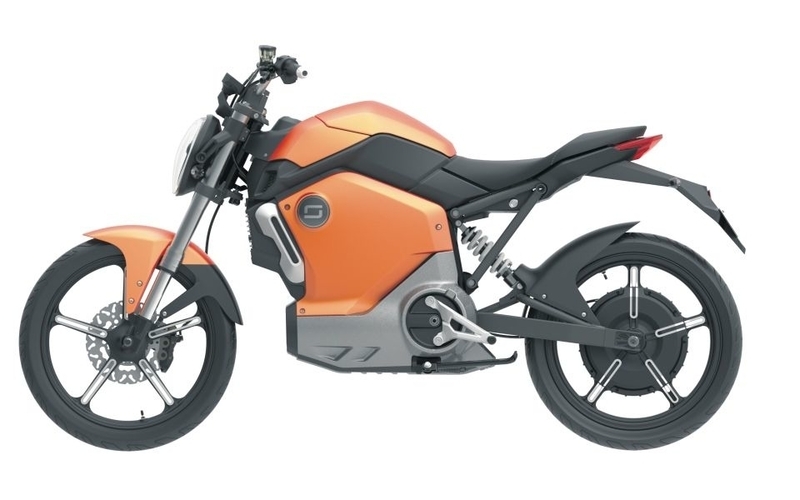 It’s encouraging to see progressively more motorbike brands start to invest in offering an electric option, although many are still in the prototype stages. Harley Davidson are arguably everyone’s favourite bike company for fulfilling the American ‘image’ of freedom and the open road. The name ‘Harley’ encapsulates all that it means to be a rider, so it was a bold move when they announced they would produce an electric motorcycle to add to the family. The LiveWire model was revealed at CES at the start of 2019, using Augmented Reality to show off the $30,000 electric motorcycle. It’s ‘twist-and-go’ feature stands it apart from their other offerings, meaning there are no shifters or clutch to contribute to its easy ride – with swift acceleration capabilities and agile handling. It can go from 0 to 60mph in an impressive 3.5 seconds and hit top speeds of 120mph, but some are already saying the ‘new signature Harley-Davidson sound’ is simply too quiet. Despite being a EV with attitude, this twist-and-go Harley-Davidson will still clock more than 100 miles of mixed urban and highway driving on a single charge. Its cellular connectivity capability makes it the first mass-market motorcycle of it’s kind in North America. With cellular telematics connectivity, you can connect to the electric Harley-Davidson remotely through your smartphone. You will be able to check things like battery, see the bike’s location on a map, and get security alerts if it’s been bumped, tampered with or moved. The LiveWire is equipped with a full suite of electronic aids, with a variety of sensors and programmable touch controls. Pre-orders are said to be open in the US and they are expected to start shipping at the end of 2019. A motorcycle manufacturer who decided against this twist-and-go handling, is Kymco. They revealed their SuperNEX electric sportsbike at EICMA, which will be equipped with a six-speed gearbox, while still enabling clutchless shifts for a smooth drive. The speed stats also appear superior to the aforementioned LiveWire, with an acceleration from 0-62 mph in 2.9 seconds. Kymco Chairman – Allen Ko, spoke about their latest model, commenting that “Electric bikes are the future and this is a boundless opportunity to transform the supersports segment”. There’s been no comment on the price, however, as tweaks are still being made, but the bikes are reported to be available in the UK by Easter, so watch this space! Another electric motorcycle to be revealed at the EICMA Milan Motorcycle Show was the TC Max from Super SOCO – a brand that’s certainly been busy with releases! The Super SOCO TC Max is said to be similar to their existing TC model, but it’s reported to be more powerful, faster and go further, all with a shorter charging time. 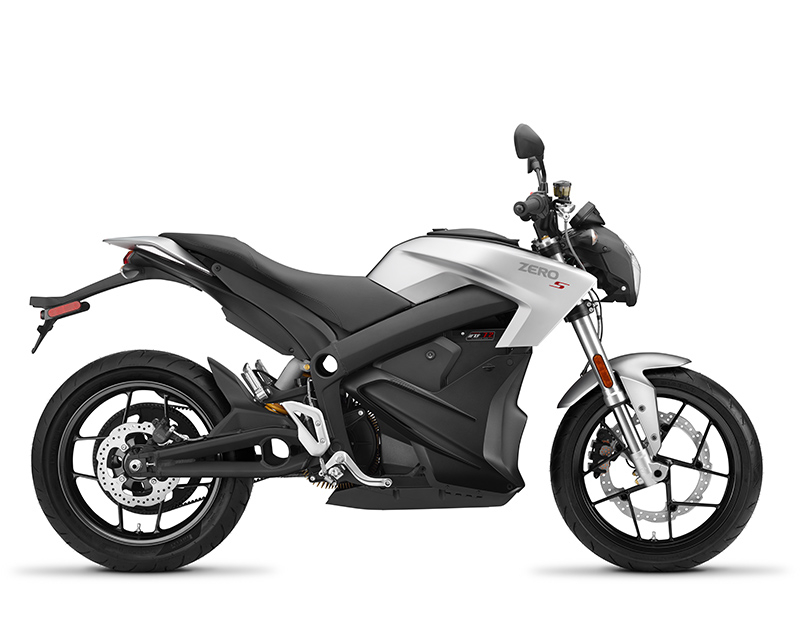 Reaching speeds of 62mph, compared to the light electric motorcycles top speed of 28mph, they are targeting more serious riders as you could technically take the TC Max on larger roads. It’s available to pre-order for £3999, with limited numbers available from April 2019. The off-road segment of the electric motorcycle market is small but is, as is often the case, perfectly formed. KTM, are the de facto kings of this particular hill. Their 2018 new-and-improved model, the KTM Freeride E-XC, offers 50% more battery power than its predecessor. As well as taking advantage of the incremental improvements in tech that everything else does, KTM is also offering a new purchasing model: you buy the bike at a price comparable to standard motorcycles then lease the charger and battery from KTM for a monthly fee. This will enable the battery to be easily upgraded, and they claim it will cost about the same as filling a tank with petrol. Of course, not having to pay for petrol is part of the appeal of getting an electric bike and you’ll be paying to charge it anyway, but the model may tempt a few more buyers. 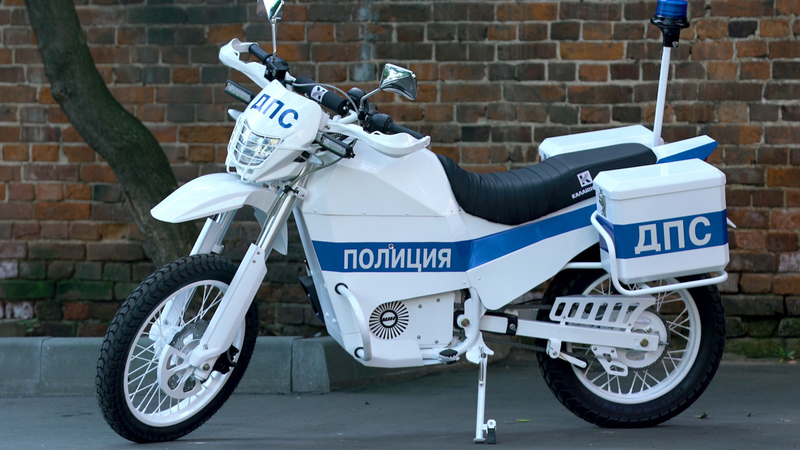 Finally, the electric motorcycle from Kalashnikov will no doubt be a cult favourite in years to come. Initially aimed at the police and military, it made its first public appearance during the 2018 World Cup. A year after releasing this electric dual-sport, they revealed two new electric motorcycles at the 2018 International Military Technical Forum in Russia. While details on the UM-1 and SM-1 electric bikes remain vague, they appear to be militant-looking, with similar trail bike characteristics as the original release, and top speeds of up to 62mph. There’s no indication as yet on the production date, but if they materialise they’ll probably do pretty darn well! Are you ready to embrace the electric version of your beloved motorbike? Or do you already own one? We’d love to hear your thoughts on how it works for you, or if you can’t bear the thought of leaving behind the engine and exhaust notes of your favourite bikes. Tell us in the comments below or check out our ultimate guide to electric mopeds.